COMMENT: Yes, it’s the same old pattern of a phony narrative to hype fear & subservience, but ultimately scripted at CIA/Pentagon/FBI headquarters and carried out by informant/double agents handled from the beginning. 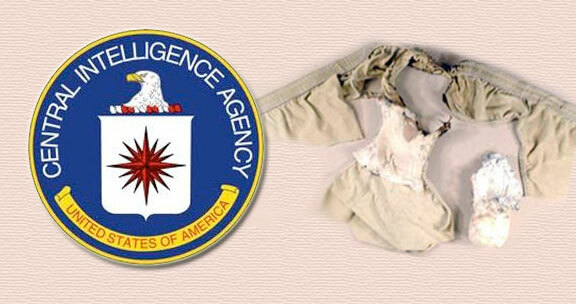 Just one day after reports that the CIA had foiled a plot involving a “sophisticated underwear bomb” targeted against U.S. airliners, the entire story has once again collapsed into a farce. Just as the FBI has been caught directing every major domestic terror plot, it turns out that the supposed “bomber” was actually a CIA informant. “U.S. and Yemeni officials say the supposed would-be bomber at the heart of an al-Qaida airliner plot was actually an informant working for the CIA,” reports the Associated Press. So all the propaganda and fearmongering over this plot was once again over nothing -this was yet another staged incident just as the first underwear bomber event was a manufactured hoax from beginning to end. Watch Alex Jones’ comments on this story from last night’s Infowars Nightly News below.